Jesus desires communion with His people every moment of the day. Time with Him is our greatest treasure! 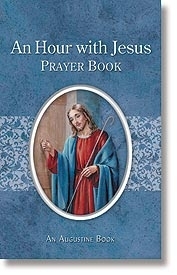 This distinctive prayer book includes devotions, prayers, and aspirations to help the reader spend intimate time with Jesus in the Blessed Sacrament.